Small Faces and the Faces keyboard player Ian McLagan has died at the age of 69 due to complications from a stroke suffered earlier this week. “It is with great sadness and eternal admiration that we report the passing of [a] rock and roll icon,” read a statement on his official website. Ian McLagan, known as Mac, played on such memorable Small Faces tracks as Lazy Sunday and Itchycoo Park in the 1960s. The band became the Faces when Rod Stewart and Ron Wood joined in 1969. Ian McLagan went on to record and perform with the Rolling Stones and also worked with Chuck Berry, Bob Dylan and Bruce Springsteen. 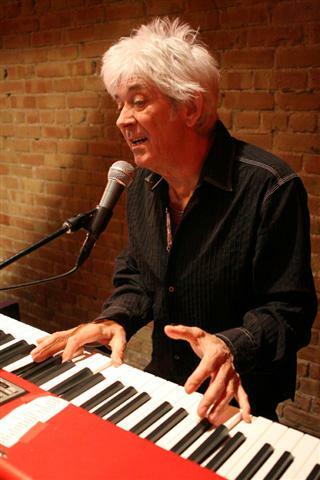 As a member of Small Faces, Ian McLagan was known for his dexterity on the Hammond Organ and Wurlitzer electric piano. When Rod Stewart departed to go solo and Ron Wood left to join the Stones, the group continued as the Small Faces, before disbanding in 1978. The Faces reformed at the end of the 2000s, with Mick Hucknall filling in for Rod Stewart, and were inducted into the Rock and Roll Hall of Fame in 2012. According to the announcement on his website, Ian McLagan had a stroke on December 2 and died the following day “surrounded by family and friends”.